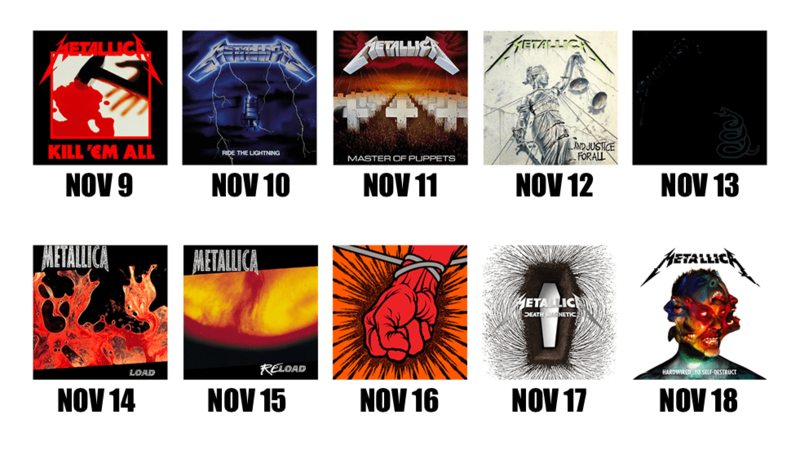 Metallica’s 10th studio album will be released November 18th. To celebrate JJO and the band have created the “Countdown to Self Destruct.” Listen every day at 9a, 2p and 5p for a Countdown Capsule. We will highlight each Metallica album, in release order, with interviews and insights from the band and a song from the record personally picked by the members of Metallica to be played on JJO. Make sure you listen until the end of the song for your chance to win a copy of that days featured release AND the new one, Hardwired To Self Destruct. Win and you are automatically in the grand prize drawing of EVERY Metallica studio album on vinyl AND a turntable to play em on. 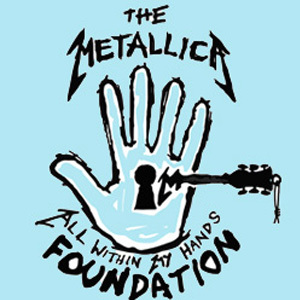 Log into your account to hear James explain the Unforgiven Trilogy and bid on Exclusive Metallica items in the auction. Click Here to get a sneak peak of the new Metallica. Including behind the scenes video and three songs. Atlas Rise, Hardwired and Moth Into Flame. While you are there register to win an entire Metallica catalog on CD! Every other hour, Metallica is releasing videos from their new album “Hardwired… to Self-Destruct” click here to see them as they come out!